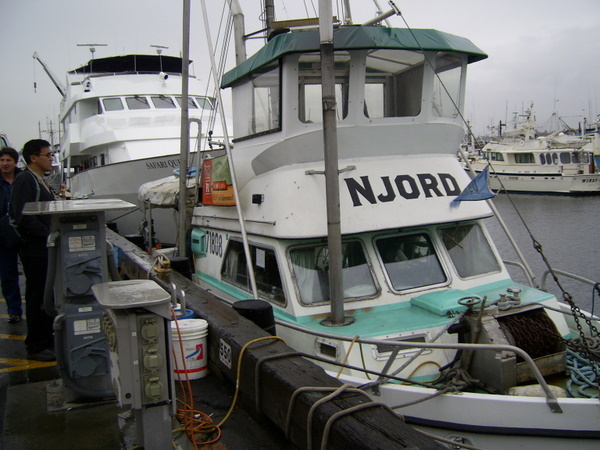 The 38 foot long fishing vessel Njord became disabled off Brookings, Oregon. The fishing vessel had suffered water ingress in it’s engine room and lost power. The Njord contacted the coast guard who dispatched a lifeboat and helicopter to the scene. The lifeboat crew were able to dewater the fishing vessel’s engine room and bring the flooding under control. The lifeboat took the fishing vessel under tow back to Brookings. No reports of injuries or pollution being released. 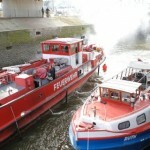 The tour boat/launch Ruth allided with the lock wall at Ellerholzbrucke Lock in Hamburg, Germany. 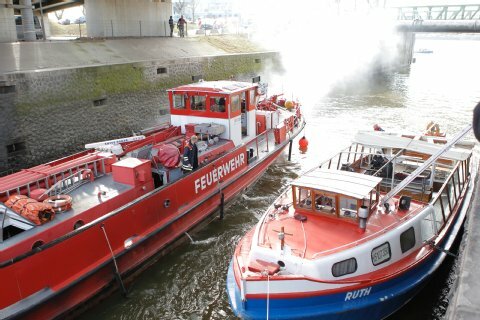 The Ruth was proceeding into the lock when the motor’s throttle stuck sending the vessel full speed into the lock. Twelve people were injured as they were thrown from their seats with most receiving bruises and abrasions. Local EMS responded and the injured passengers were sent to hospital as a precaution. 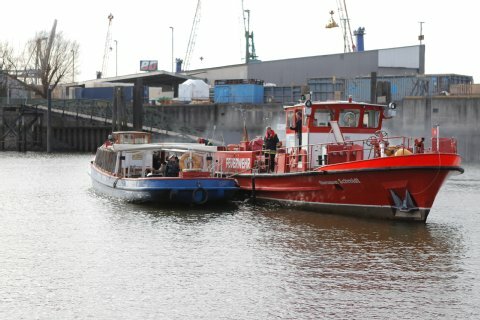 A local fire boat arrived on scene and took the Ruth under tow to a nearby dock. No reports of pollution being released. The water police are conducting an investigation into the incident. 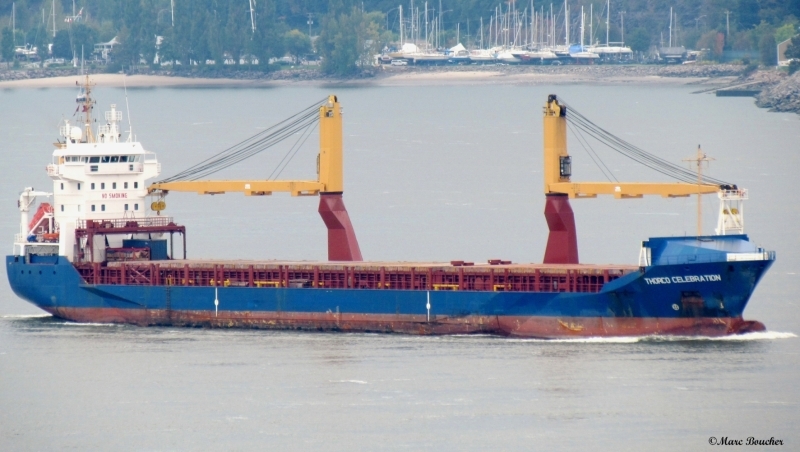 The 143 meter long, 10300 dwt cargo vessel Thorco Celebration caught fire while moored at São Sebastião, Brazil. The fire started in one of the cargo holds while repairs were being done from a welder. Sparks from the welder caught wooden packages ablaze and quickly got out of control. 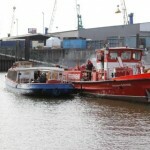 The crew requested local firefighters who arrived along with a fire tug. The firefighters were able to extinguish the fire a short time later. No reports of injuries or pollution released.